how to make your best ideas come true. 500% more productive in work and life. 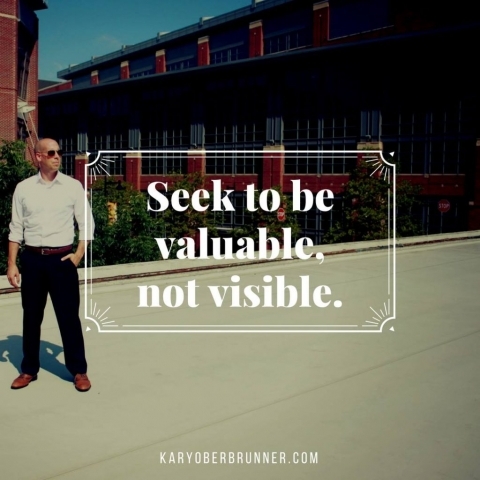 KARY OBERBRUNNER is an author, coach, and speaker who helps individuals and organizations clarify who they are, why they're here, and where they're going so they can become souls on fire, experience unhackability, and share their message with the world. 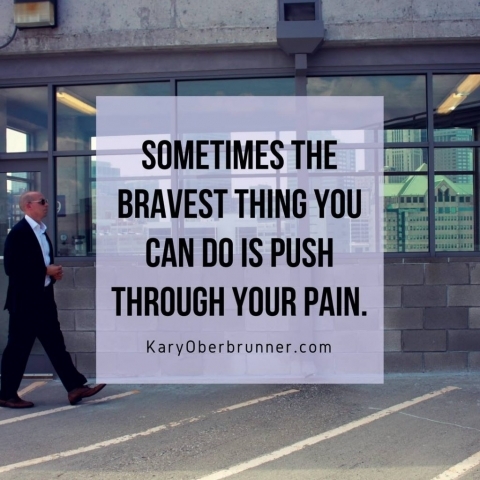 As a child and young adult Kary overcame a paralyzing speech disorder and an addiction to self-injury. 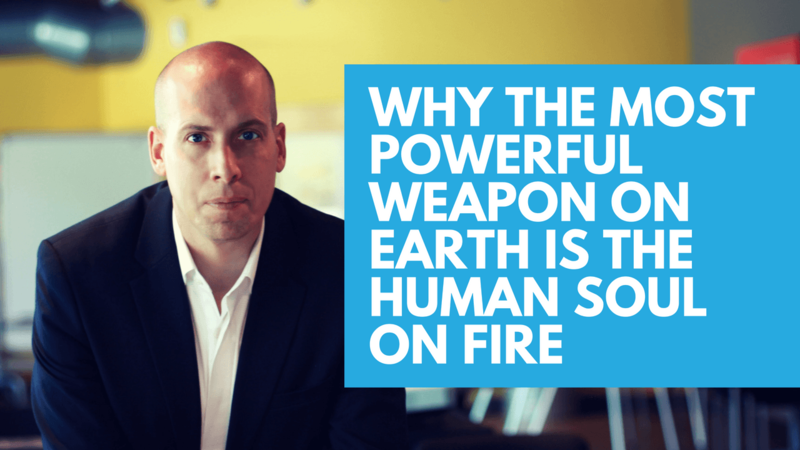 In the past twenty years, he’s ignited over one million people with his content. He lives in Ohio with his wife, Kelly, and three children. We say we want better health, finances, and relationships. Yet, beneath the surface, we don’t think we deserve it. The truth is, we’ll never outperform our self-image. 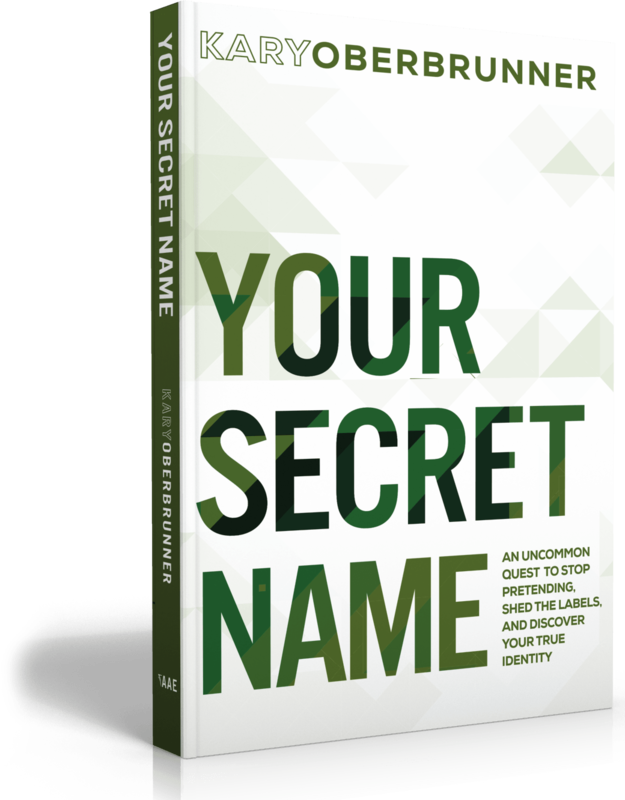 Get Your Secret Name and discover how to SHED THE LABELS, STOP PRETENDING, AND START CREATING THE LIFE YOU DESERVE. The majority of people invest more time designing a two-week vacation than designing their lives. But without a map, we coast through life feeling lost and directionless. 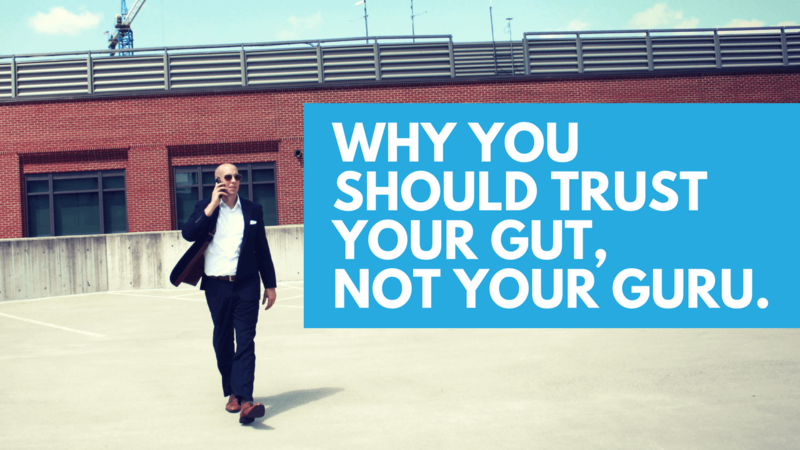 Do you feel trapped and dissatisfied, afraid to risk your financial security to pursue your dream? If so you’re not alone. 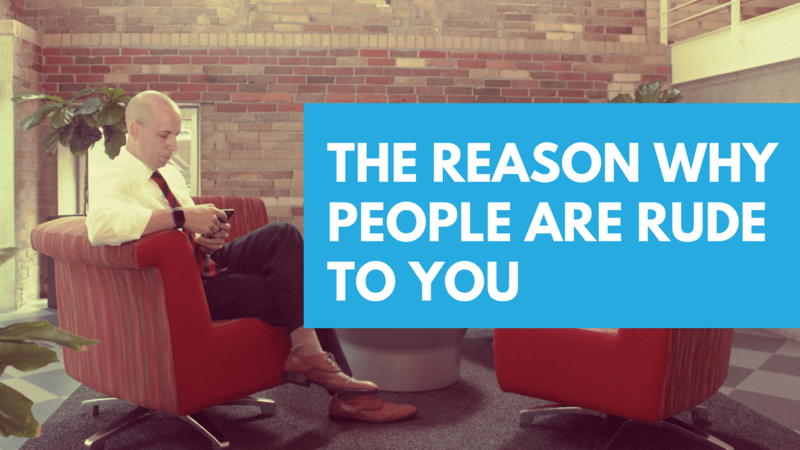 Eighty-six percent of people feel unfulfilled in their current place of employment. 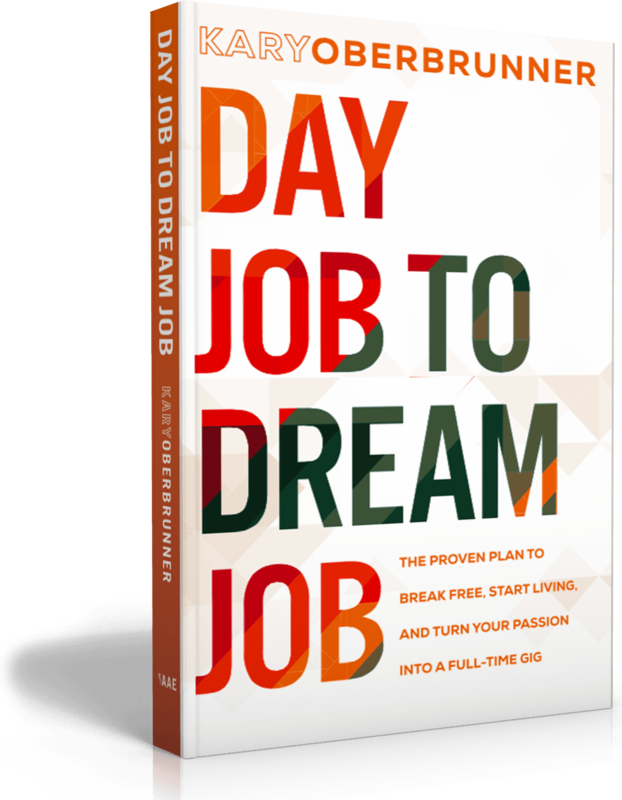 Get Day Job To Dream Job and discover a proven plan to BREAK FREE, START LIVING, AND TURN YOUR PASSION INTO A FULL-TIME GIG. 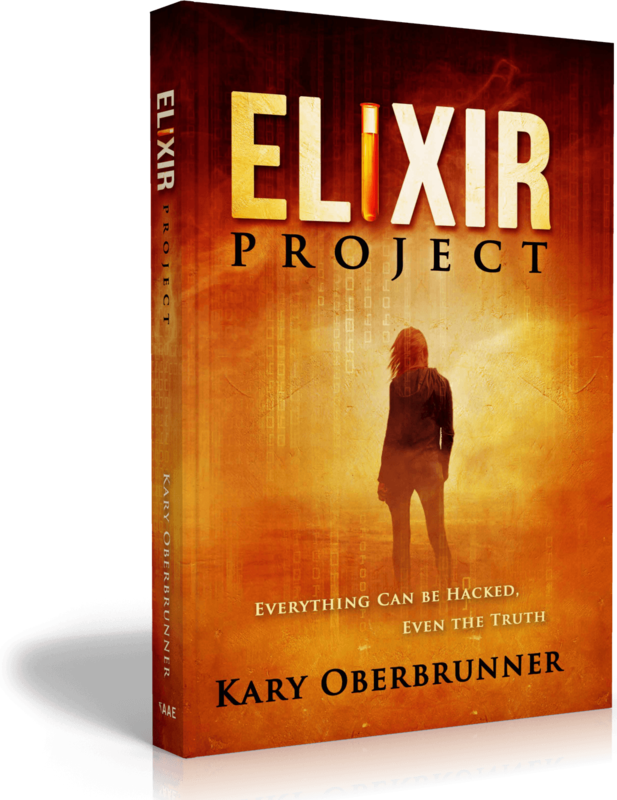 Elixir Project is fast-paced near-future thriller. It’s also a modern day metaphor for where the world is headed. The book reveals how most of us are in danger of having our best ideas sidelined and sabotaged. In a society of increasing distractions, Unhackability is the new secret weapon used by super achievers in every field. 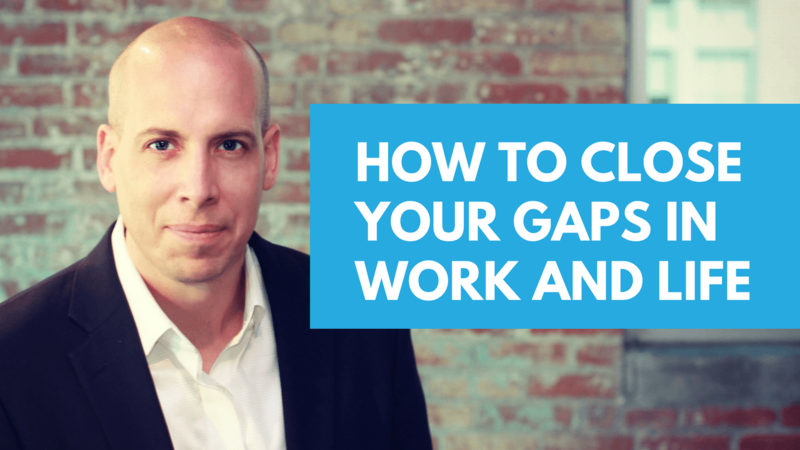 Discover this powerful paradigm to help you close the gaps between your dreaming and doing. Unfortunately, most people are NOT souls on fire. So what's the true cost of NOT being a soul on fire? "The most damaging thing in the life of a child is the 'unlived life' of the parent'." "How do I become a soul on fire?" 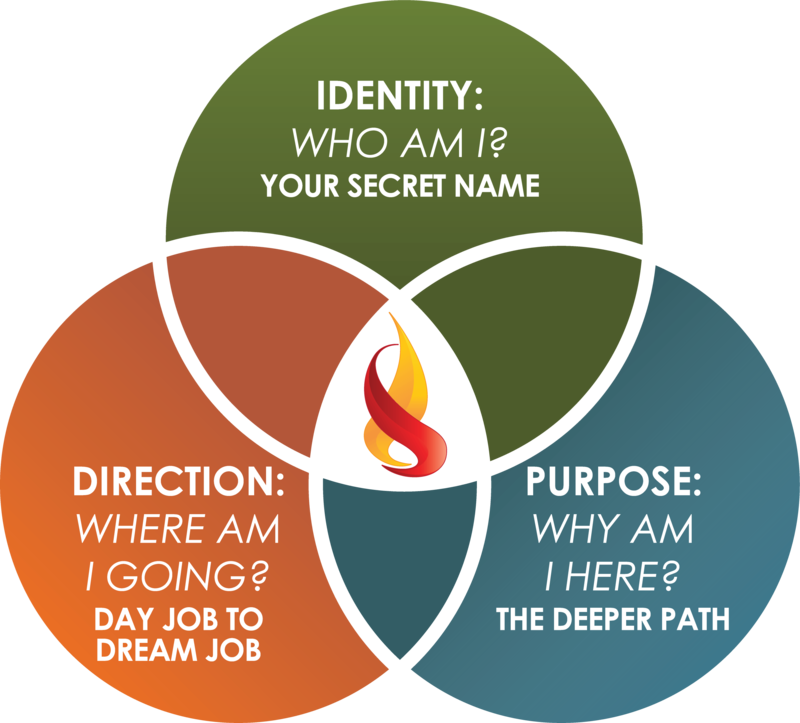 When individuals and organizations get clear on their identity, their purpose, and their direction they become unstoppable—the most powerful weapon on earth. Don't go through another day without knowing who you were created to be. 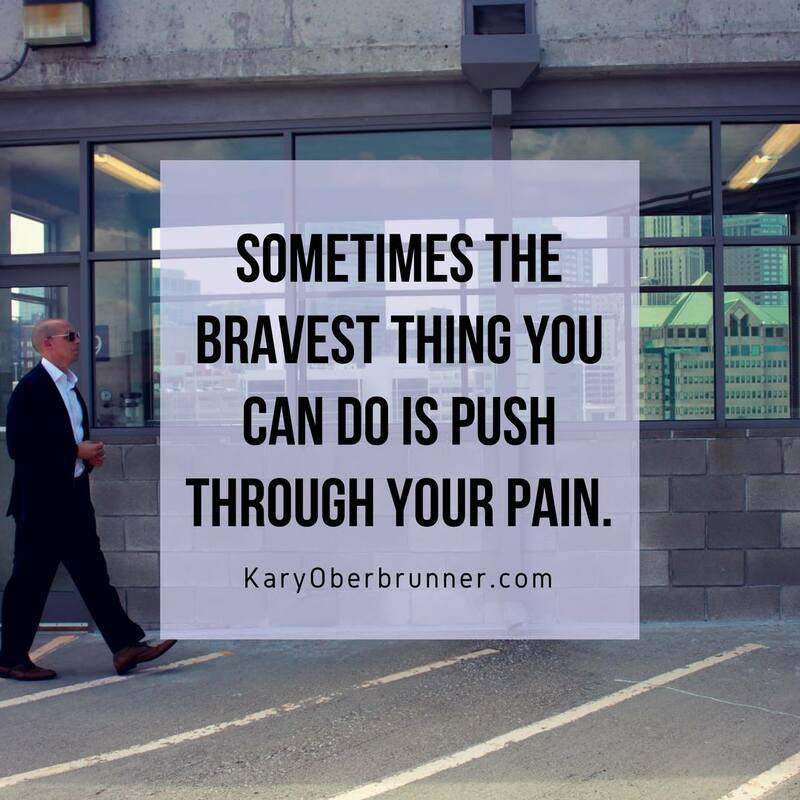 For nearly a decade, people have benefitted from this interactive course—finding freedom from their shame, self-limiting beliefs, and masks that kept them stuck and small. 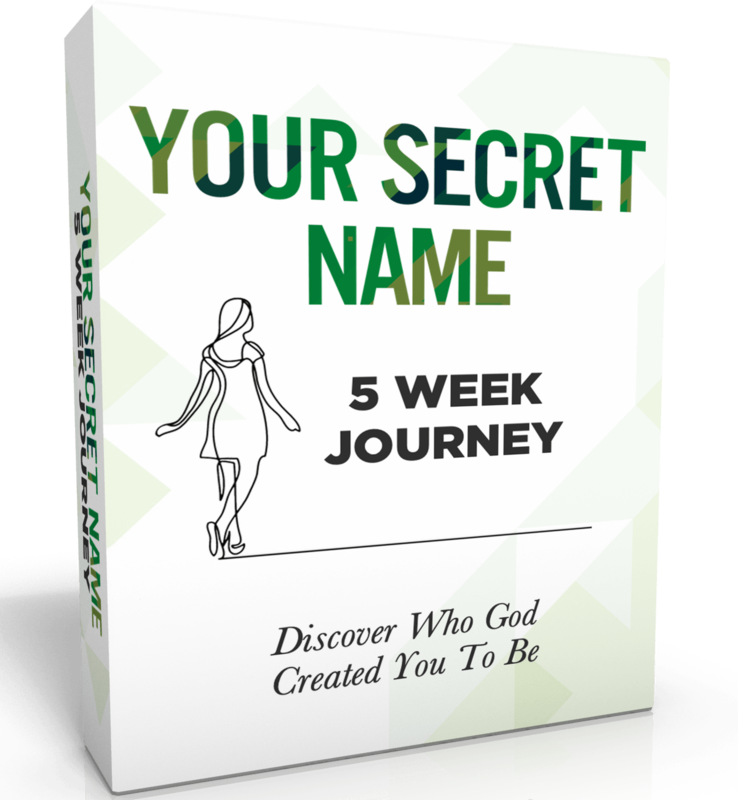 Your Secret Name 5 Week Journey is a step-by-step process to make this desire your reality. Discover your true identity today. Say yes to the people and events that matter most and no to those that don’t. 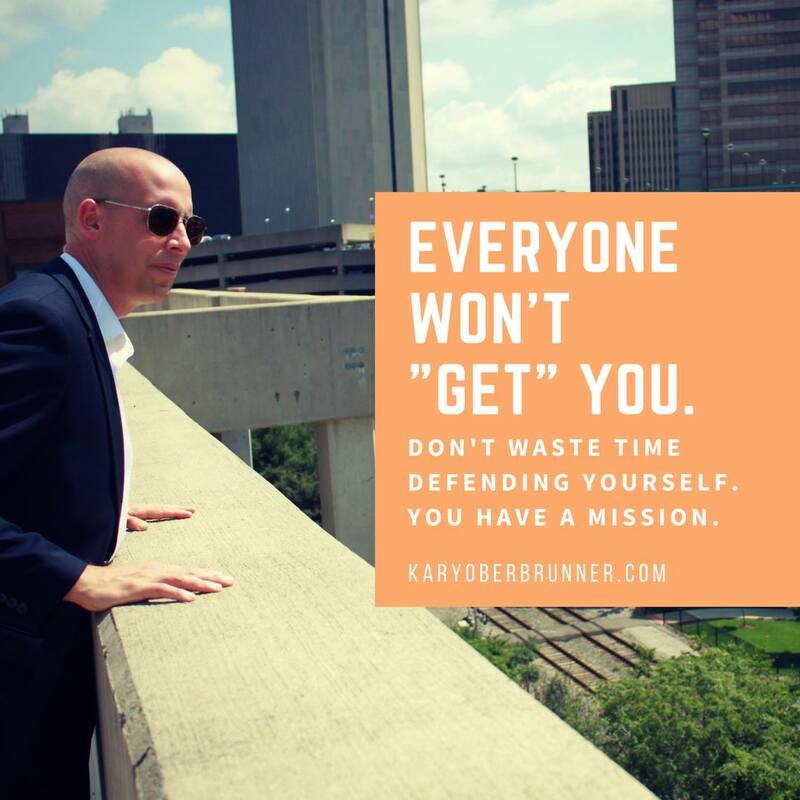 If you've lost your way, maybe it's because you've lost your why? The good news is that anyone can become a master in the art of living, if they follow the right process. 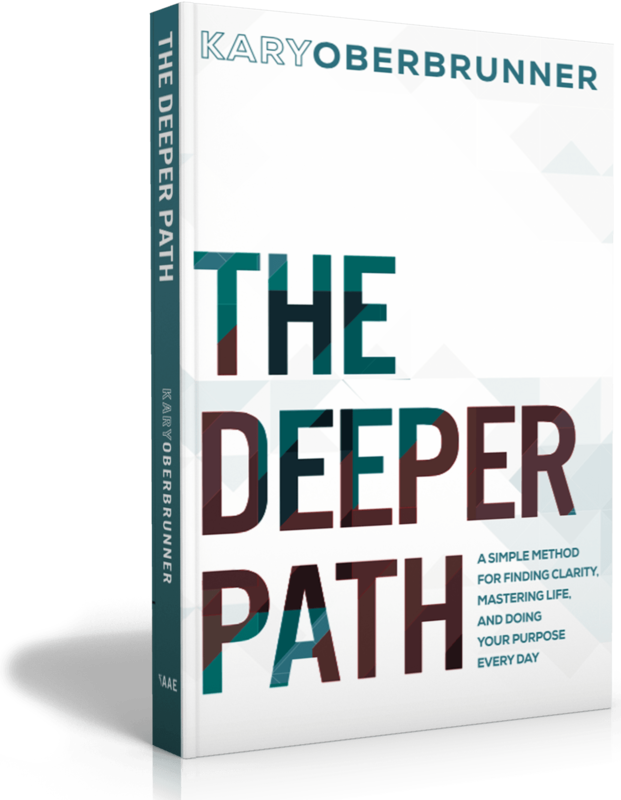 The Deeper Path Coaching Cohort helps you discover the clarity, competence, and confidence you crave. 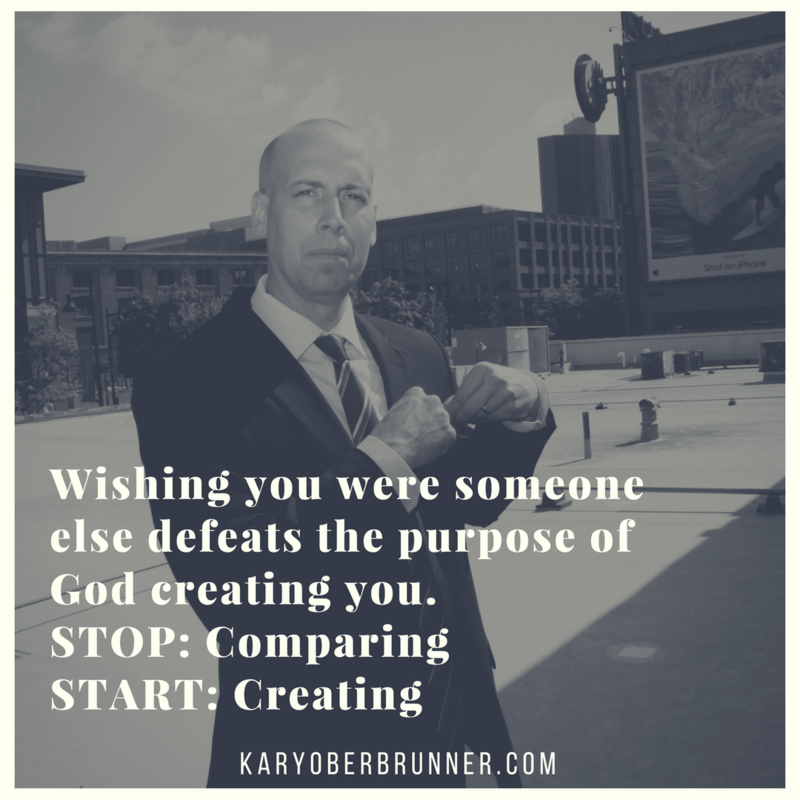 Discover your purpose and start loving life again. 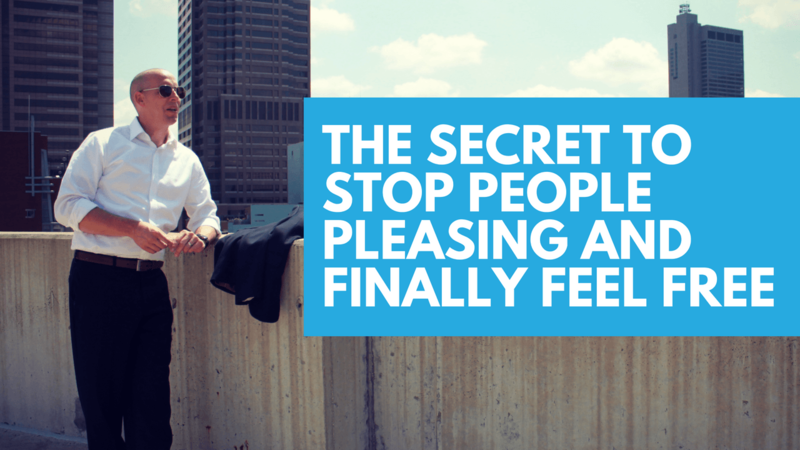 Learn how to create a life defined by freedom, finances, and fulfillment. Life is too short to live in day job prison. 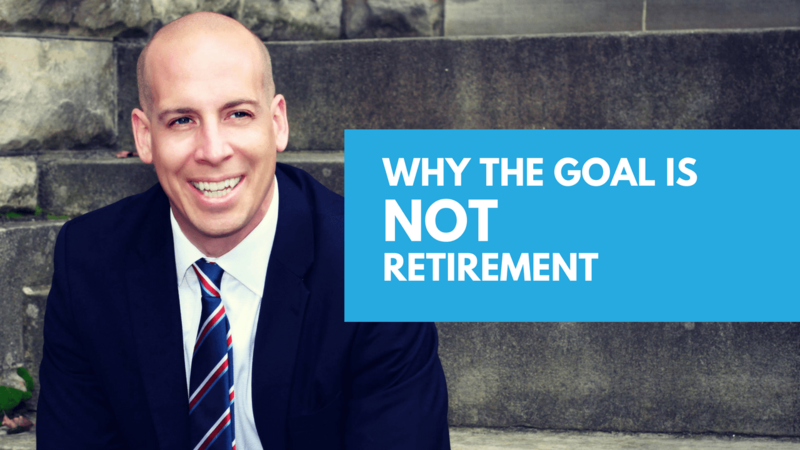 Discover a proven process how to go from PRISON to PLAN to PAYOFF. 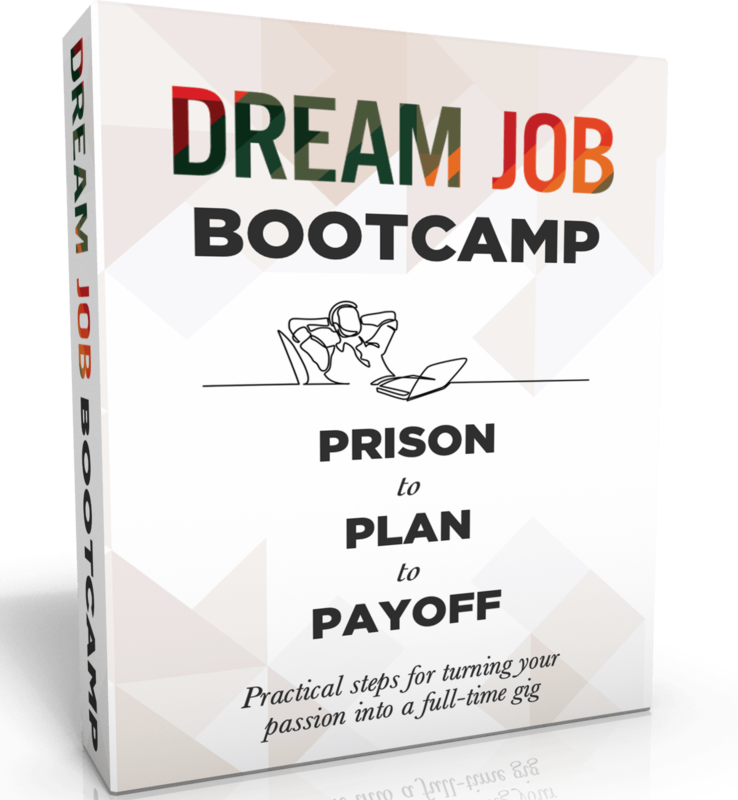 Dream Job Bootcamp is a step-by-step process that helps you turn your passion into a full-time gig. You deserve to go as you please, earn as you wish, and live as you like. It's time to get busy living. Discover how to become "unhackable" in work and life. Many people begin with the best intentions and the clearest directions, but somewhere along they get sidelined and sabotaged. Somewhere between ideation and implementation they get hacked. 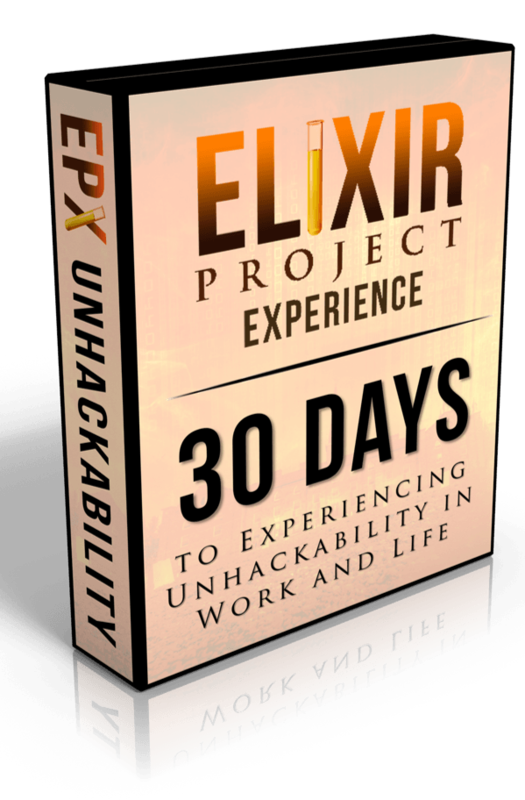 Elixir Project Experience is 30-Day course designed to help you experience Unhackability in work and life. 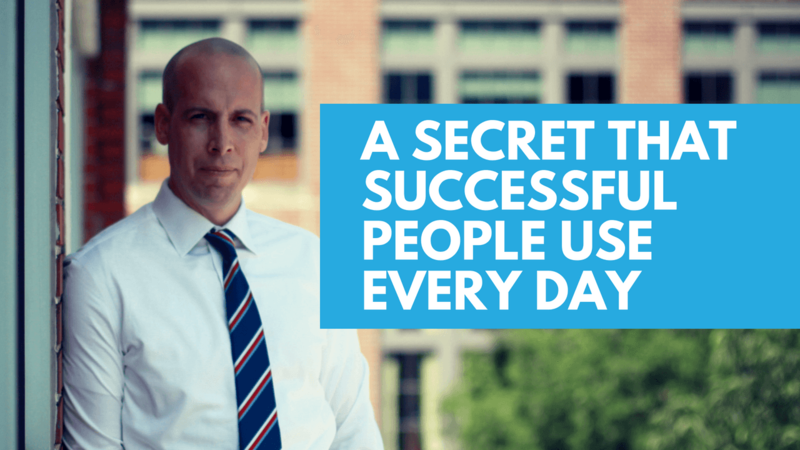 Discover the power and process to create ideas and implement them efficiently and effectively. Most aspiring authors don't know where to begin. 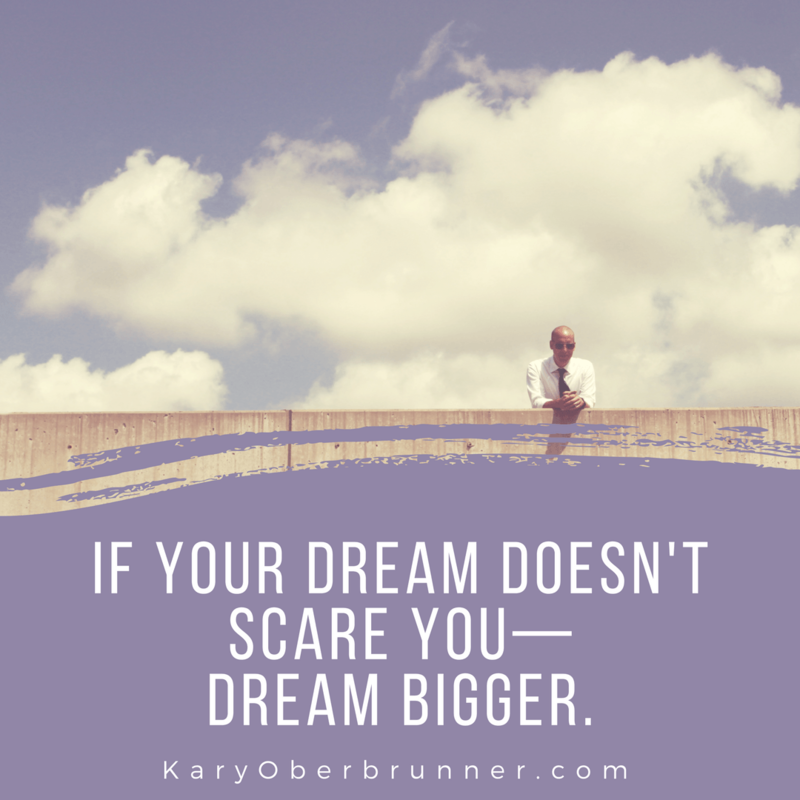 You have a killer book idea inside you. 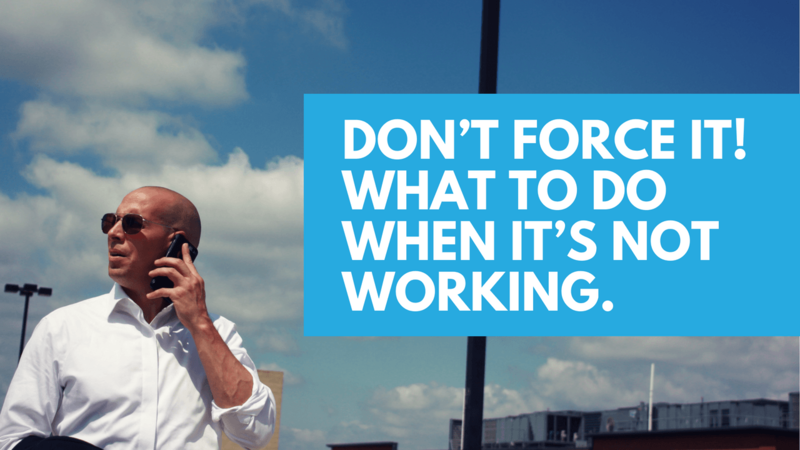 But you don’t want to waste time or money in the process. 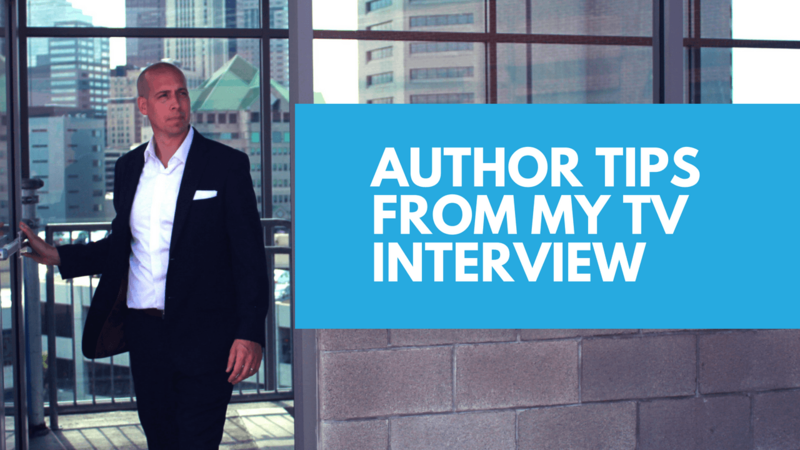 Could you actually become an author and make your dream come true? 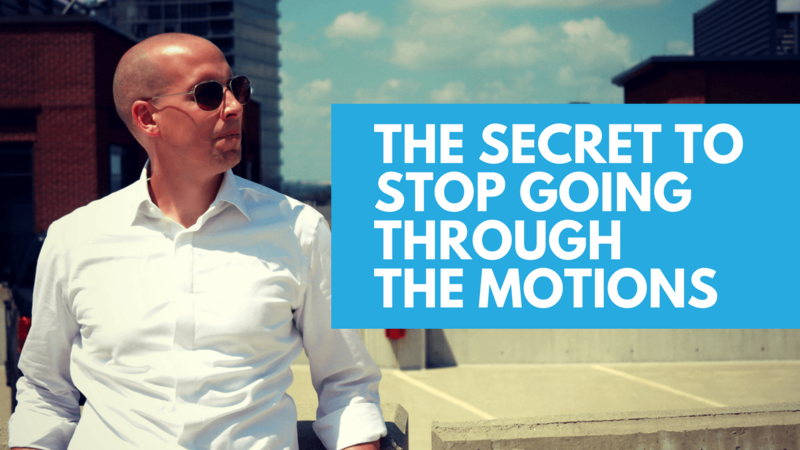 Anyone can turn his or her killer book idea into a bulletproof blueprint. 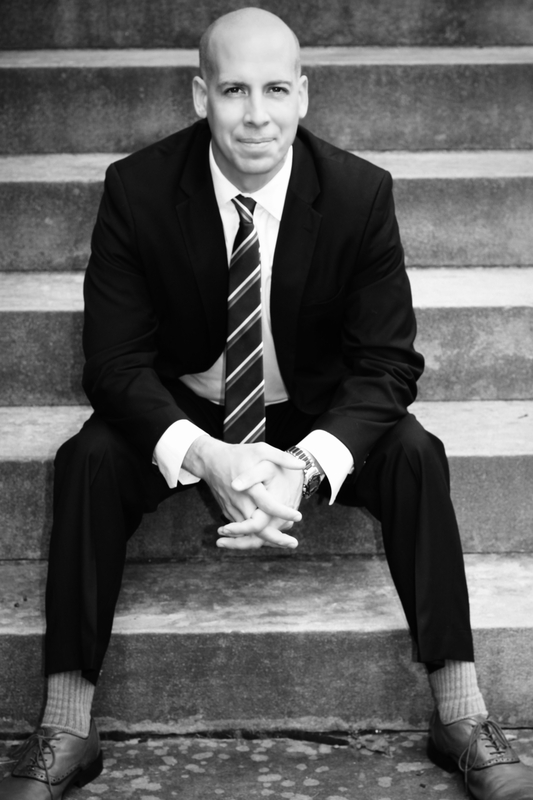 My Book Blueprint proven process will give you and your book the clarity, competence, and confidence you deserve. Simply follow the step-by-step system. Most authors never sell more than a few hundred books in their lifetime. This was true for me too with my first 3 books until I discovered a secret. It all comes down to what I do in the Pre-Launch, Launch, and Post-Launch phases. There is a right and wrong way to market a book. With my next 7 books I turned them each into 6 figure businesses. Author Academy gives you this roadmap for navigating the 3 essential phases of your book-marketing plan. 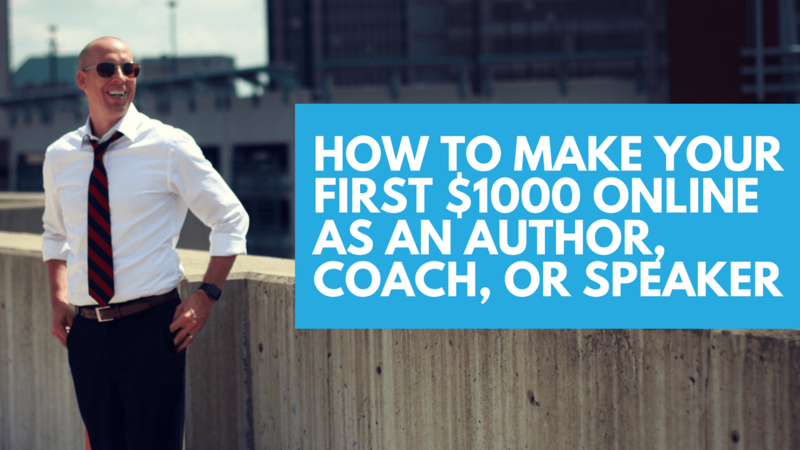 Discover how to WRITE, PUBLISH, and MARKET your book the right way. Author Academy Elite is the premium experience for authors. We provide cover design, interior design, editing, global distribution and even foreign translation opportunities in addition to a superior publishing experience. Your book receives exactly what it needs to attain maximum influence and impact. We even help you turn your book into 18 streams of income. Besides learning the skill of ghostwriting, we'll also show you the business side of ghostwriting, too—including lead generation, marketing, contracts, collaboration, and much more. Many Traditional Publishing Houses admit that about 70% of their books were written by ghostwriters. And nearly 99% of all books published by artists, celebrities, and politicians were ghostwritten. Ghostwriters today are proudly listed on front covers and celebrated as collaborators. Ghostwriter Academy helps writers start and scale their businesses the right way. Set fire to your business and brand. Business Academy Elite is a NEW BREED of program that succeeds where others fall short. Get ready for expert training in all areas of online business. 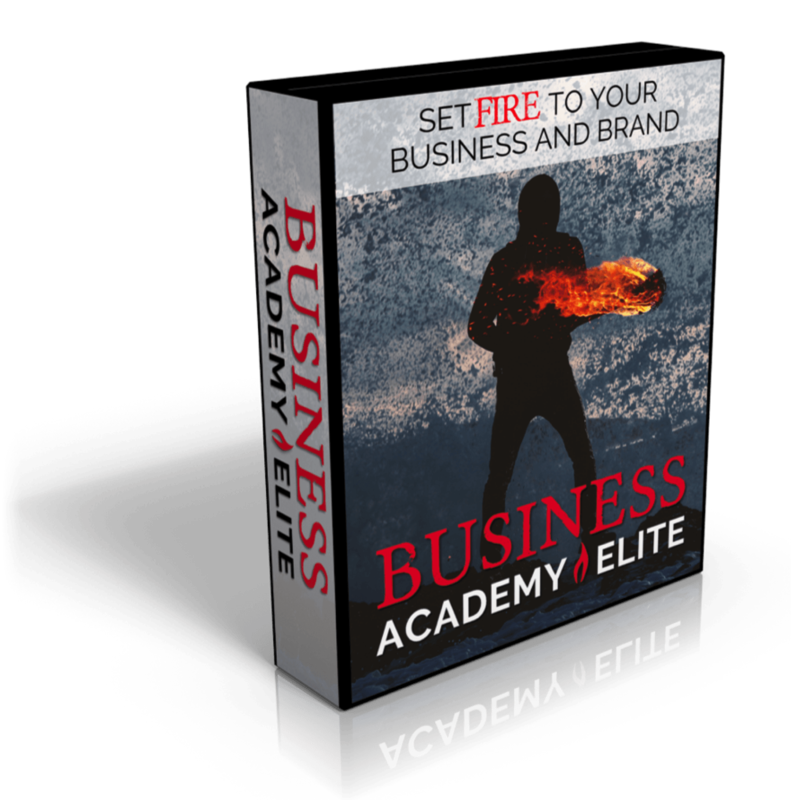 Whether you need help with vlogging, youtube, podcasting, lead magnets, online course building, traffic, email list building, customer management, or facebook ads...Business Academy Elite has it all. 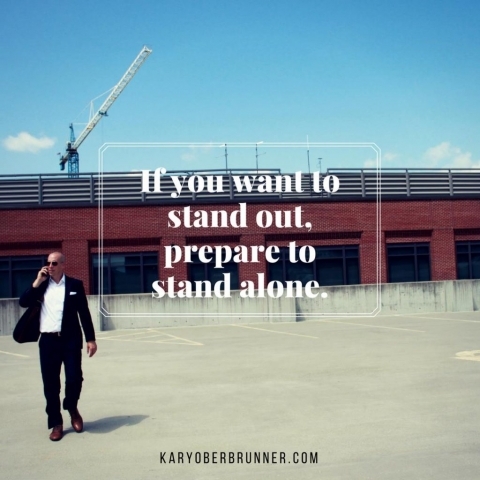 Plus you'll receive live weekly business coaching customized for you unique questions and circumstances. Join us for this FREE monthly live gathering led by author, coach, and speaker Kary Oberbrunner. 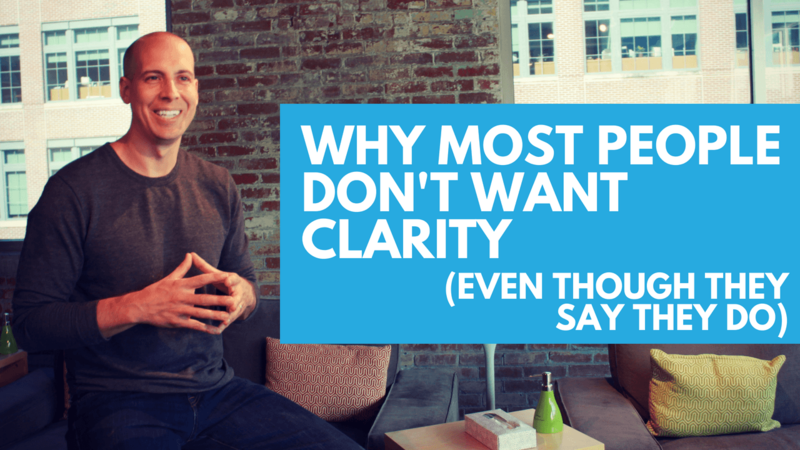 Get the clarity you need for work and life. Participate in person from Columbus, Ohio OR online via your device from anywhere in the world. Join us for this annual October event unlike any other event on planet earth. Designed for authors, coaches, speakers, and entrepreneurs, this 3 day interactive event is devoted to help you increase your influence, impact, and income.